Pulled form a dell laptop. Lite-On (Dell). We are sorry for any inconvenience this may cause. No exceptions. We have a limited knowledge of their prior use. 128GB Each. Lite-On (Dell). We are sorry for any inconvenience this may cause. No exceptions. We have a limited knowledge of their prior use. Up for sale areDell LITEONIT 0K11MF K11MF LCT-128M3S Lite-On SATA 2.5" 128 GB Solid State Drives. They have all been tested, wiped and are ready for your format and use! See pictures for more details. NEW Dell DVDRW SATA Optical Drive for Optiplex Towers 380 3010 390 580 7010 990 980,780,760,360 9010 7020 3020. Buffer 32MB. Protocol SATA. 1TB SATA 7200 rpm. This is a new, Genuine Dell product. Synchronous Transfer. Interface NGFF M.2. Storage Capacity 128GB. Form Factor 80mm. Semi-permanently hold information form the computer Drive Powers on is visible in the system Drive is visible Pass. Erased (DoD 5220.22 M Compliant) and tested good (Not formatted, partitioned, or allocated). 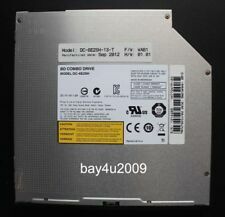 Drive Type: Internal Slim DVD /-RW Drive. DVD±R DL: 6X. DVD RW: 8X. 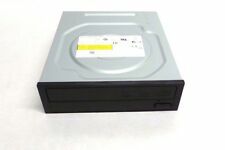 PC Required: Pentium4 1.3 GHz or faster CPU, 512MB or higher RAM; Up to 10GB free HDD space for creating a DVD image file; 13 pin SATA connector. Interface NGFF M.2. Form Factor 42mm. Storage Capacity 16GB. Semi-permanently hold information form the computer Drive Powers on is visible in the system Drive is visible Pass. Erased (DoD 5220.22 M Compliant) and tested good (Not formatted, partitioned, or allocated). LITE-ON Solid State Drive 120GB PH6-CE120. Drive with SATA cable only. Software NOT included. VLC (Freeware) works well if you hand install a few other files. Working system pull. Overall it is in good USED physical condition as shown in the pictures provided. Interface: mSATA. Capacity: 256GB. Formatted, tested and fully functional. Drive Type: Solid State Drive. Lite-on 120gb 2.5 SSD. Shipped with USPS First Class Package. Pulled from a brand new laptop for a bigger capacity. All sales are final! 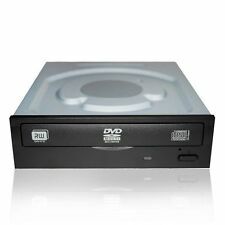 1, Professional duplication and archival grade CD/DVD burner. 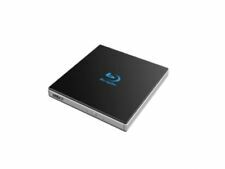 Lite-ON premium optical disc drive DH-16AFSH-Premm 2, is a professional-use half height DVD drive. (H/H ODD) Using high quality OPU, Spindle motor and other key components, DH-16AFSH-Premm 2 perform as a very high quality CD/DVD drive. If you are NOT going to be available to sign for the parcel, it will be your responsibility to arrange receipt of the item. Interface mSATA. Storage Capacity 32GB. Semi-permanently hold information form the computer Drive Powers on is visible in the system Drive is visible Pass. Erased (DoD 5220.22 M Compliant) and tested good (Not formatted, partitioned, or allocated). LiteOn 256 GB Solid State Drive M.2 interface & 2.5 SSD SAT Converter Enclosurer. Condition is Used. Shipped with USPS Priority Mail. 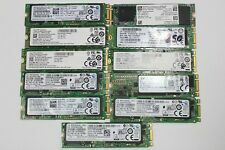 New Listing256GB Laptop Solid State Hard Drive - SSD - LITE ON LCS-256M6S - 2.5"
These drives have been wiped and ready for re-use. "Taken from a working workstation" Test and reformat. SKU: RGV76. All of our hard drives are 100% tested passing both SMART and sector by sector scanning. All hard drives are wiped in compliance with the NIST SP 800-88 standard. Lite-On 32GB M.2 2242 SSD HDD. Shipped with USPS First Class Package. LITE-ON M.2 (2260) 256GB SSD Fits Dell Venue 11 part # 877CW. Shipped with USPS First Class Package. (pic is not the actual drive -- but similar model and SSD capacity). Lite-On M.2 mSATA 512GB Solid State SSD. This drive is pulled from a new system and is cleared and tested. No one is EVER ignored! ALL PRODUCTS ARE MARKED WITH SERIAL NUMBER AND QC BADGE. Internal Solid State Drive (SSD). Device Type. Max Vibration Resistance. 1500G (Max) at 1 msec half-sine. Max Shock Resistance. 0°C ~ 70°C. 1,500,000 hours. 4KB Random Write. This drive is pulled from a new system and is cleared and tested. ALL PRODUCTS ARE MARKED WITH SERIAL NUMBER AND QC BADGE. No one is EVER ignored! Get Images that. Interface mSATA. Storage Capacity 128GB. Semi-permanently hold information form the computer Drive Powers on is visible in the system Drive is visible Pass. Erased (DoD 5220.22 M Compliant) and tested good (Not formatted, partitioned, or allocated). 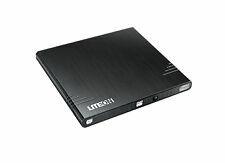 Lite-On LCH-256V2S 2.5" 256GB Solid State SSD. This drive is pulled from a new system and is cleared and tested. No one is EVER ignored! ALL PRODUCTS ARE MARKED WITH SERIAL NUMBER AND QC BADGE. STORAGE CAPACITY 128GB. INTERFACE SATA III, SATA SSD. If you prefer you may also feel free to recycle such materials to any local R2 or e-Stewards certified recycler. Nard Flash : MLC. Interface SATA 6.0Gb/s, also compatible with SATA 3.0/1.5 Gb/s. Sequential Read Speed (SATA 6Gb/s) 530 MB/s. Sequential Write Speed (SATA 6Gb/s) 440 MB/s. Power Connector 15-pin SATA connector for DC 5V input.